As a defiant response to sad desk lunches, the Food52 team works to keep our midday meals both interesting and pretty. 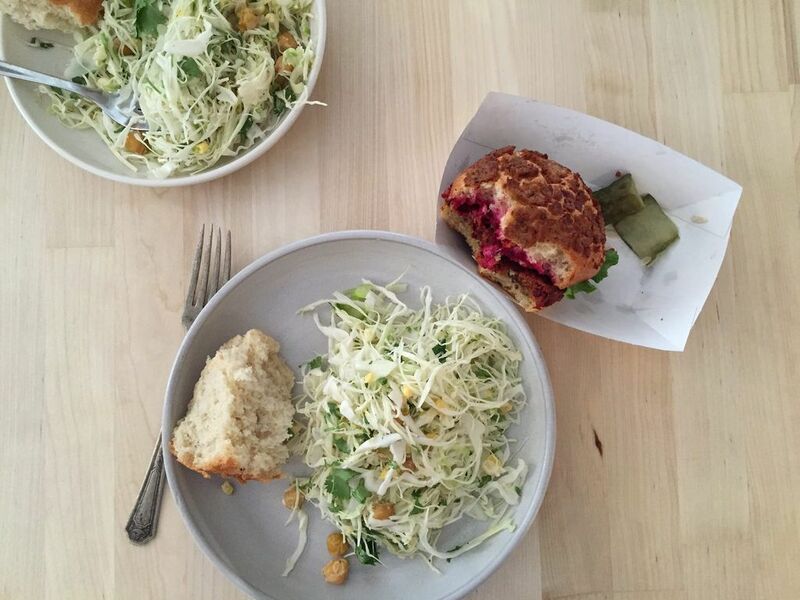 Each week, we'll be sharing our happiest desk lunches—and we want to see yours, too. Today: The salad that perfectly accompanies Dan Barber’s juice pulp burgers. 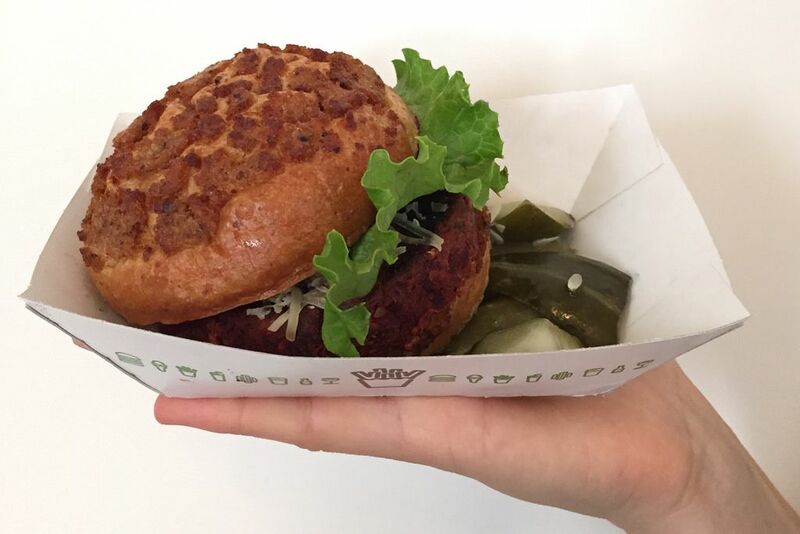 When we found out Dan Barber of Blue Hill was serving WastED veggie burgers at Shake Shack in Madison Square Park today and today only, we unabashedly ran to get in line. Before we were even hungry. This kind of thing is our version of Black Friday: Being big fans of the Superiority Burger, we like to think we know a good veggie burger from a bad one. Plus, we like to eat garbage. More: How Dan Barber transformed our kitchen scraps. This burger—composed of a juice pulp patty, cheese trimmings from Jasper Hill, a ketchup of bruised beets, and buns made of stale, rehydrated rye bread—was really, really good. And it made us want to use up our kitchen scraps. The result was this salad made from the last, wilting ingredients in Sarah Jampel’s and my fridges, with the help of some pantry staples. The prettiest garbage I have ever seen. I am curious about how to make the buns too! What a great dressing. I'm going to try that. How do you re-hydrate those stale rye buns? In fact, how do you make the buns too? I'm not sure! We'd have to ask Dan Barber.